A. Sections 1301 through 1340 of this title shall only apply to the regulation of bail bonds for crimes, the punishment of which may be in excess of Twenty Dollars ($20.00) fine or twenty (20) days in jail, or both such fine and imprisonment. "Multicounty agent bondsman" means a professional bondsman who has been approved by the Commissioner and who otherwise complies with the provisions of Section 1306 of this title. A. The Insurance Commissioner shall have full power and authority to administer the provisions of this act, which regulates bail bondsmen and to that end to adopt, and promulgate rules and regulations to enforce the purposes and provisions of this act. The Commissioner may employ and discharge such employees, examiners, counsel, and such other assistants as shall be deemed necessary, and he shall prescribe their duties and their compensation shall be the same as other state employees receive for similar services. B. Any written instrument purporting to be a copy of any action, proceeding, or finding of fact by the Commissioner, or any record of the seal of his office shall be accepted by all the courts of this state as prima-facia evidence of the contents thereof. C. Open and ongoing investigative files shall not be open for review unless so ordered by a proper administrative order of the hearing examiner or Commissioner or by proper judicial order or legislative committee. Executing any bail bond for an insurer, pursuant to a bail bond service agreement entered into between such insurer and any automobile club or association, financing institution, insurance company or other organization or association, on behalf of a person required to furnish bail in connection with any violation of law arising out of the use of a motor vehicle. B. No license shall be issued except in compliance with Section 1301 et seq. of this title and none shall be issued except to an individual. License renewals shall be granted subject to all other provisions of Section 1301 et seq. of this title. A corporation as such shall not be licensed. Nothing herein contained shall be construed as repealing Section 11 of Title 5 of the Oklahoma Statutes; and it is further provided that licensed attorneys are prohibited from signing any bonds as surety in any civil or criminal action pending or about to be filed in any court of this state. Each bail bondsman license issued shall expire biennially at 12:00 o’clock midnight on the last day of the birth month of the bondsman, unless revoked or suspended prior thereto by the Insurance Commissioner. Has a high school diploma or its equivalent; provided, however, the provisions of this paragraph shall apply only to initial applications for license submitted on or after November 1, 1997, and shall not apply to renewal applications for license. B. The applicant shall apply electronically on forms approved by the Insurance Commissioner, and the Commissioner may propound any reasonable interrogatories to an applicant for a license pursuant to Sections 1301 through 1340 of this title, or on any renewal thereof, relating to qualifications, residence, prospective place of business and any other matters which, in the opinion of the Commissioner, are deemed necessary or expedient in order to protect the public and ascertain the qualifications of the applicant. The Commissioner may also conduct any reasonable inquiry or investigation relative to the determination of the fitness of the applicant to be licensed or to continue to be licensed including, but not limited to, requiring a national criminal history record check as defined by Section 150.9 of Title 74 of the Oklahoma Statutes. The Commissioner may require any documents reasonably necessary to verify the information in the application. C. An applicant shall furnish to the Commissioner a license fee of Two Hundred Fifty Dollars ($250.00) with the application, a complete set of the fingerprints of the applicant and two recent credential–size full face photographs of the applicant. The fingerprints of the applicant shall be certified by an authorized law enforcement officer. The applicant shall provide with the application an investigative fee of One Hundred Dollars ($100.00) with which the Commissioner will conduct an investigation of the applicant. All fees shall be nonrefundable. D. In addition to the license fee set forth in subsection C of this section, an applicant for a multi-county agent bondsman license shall furnish to the Commissioner a license fee of Seven Hundred Fifty Dollars ($750.00). E. Failure of the applicant to secure approval of the Commissioner shall not preclude the applicant from reapplying, but a second application shall not be considered by the Commissioner within three (3) months after denial of the last application. F. The fee for a duplicate pocket license shall be Twenty–five Dollars ($25.00). An applicant for a cash bondsman license shall meet all requirements set forth in Section 1305 of this title with exception of the one–year residence requirement. An applicant for a cash bondsman license shall affirmatively show that the applicant has been a bona fide resident of the state for six (6) months. In addition to the requirements prescribed in Section 1305 of this title, an applicant for a professional bondsman license shall submit to the Insurance Commissioner an audited financial statement prepared by an accounting firm or individual holding a permit to practice public accounting in this state in accordance with the Statements on Auditing Standards promulgated by the Auditing Standards Board of the American Institute of Certified Public Accountants setting forth the total assets of the bondsman less liabilities and debts as follows: For all applications made prior to November 1, 2006, and the subsequent renewals of a license issued upon the application when continuously maintained in effect as required by law, the statement shall show a net worth of at least Fifty Thousand Dollars ($50,000.00). For all applications made on and after November 1, 2006, and the subsequent renewals of a license issued upon the application when continuously maintained in effect as required by law, or for the renewal or reinstatement of any license that is expired pursuant to subsection D of Section 1309 of this title, suspended or revoked, the statement shall show a net worth of at least One Hundred Fifty Thousand Dollars ($150,000.00), the statements to be current as of a date not earlier than ninety (90) days prior to submission of the application and the statement shall be attested to by an unqualified opinion of the accountant. Professional bondsman applicants shall make a deposit with the Insurance Commissioner in the same manner as required of domestic insurance companies of an amount to be determined by the Commissioner. For all applications made prior to November 1, 2006, and the subsequent renewals of a license issued upon the application when continuously maintained in effect as required by law, the deposit shall not be less than Twenty Thousand Dollars ($20,000.00). For all applications made on and after November 1, 2006, and the subsequent renewals of a license issued upon the application when continuously maintained in effect as required by law, or for the renewal or reinstatement of any license that is expired pursuant to subsection D of Section 1309 of this title, suspended or revoked, the deposit shall not be less than Fifty Thousand Dollars ($50,000.00). The deposits shall be subject to all laws, rules and regulations as deposits by domestic insurance companies but in no instance shall a professional bondsman write bonds which equal more than ten times the amount of the deposit which the bondsman has submitted to the Commissioner. Such deposit shall require the review and approval of the Insurance Commissioner prior to exceeding the maximum amount of Federal Deposit Insurance Corporation basic deposit coverage for any one bank or financial institution. In addition, a professional bondsman may make the deposit by purchasing an annuity through a licensed domestic insurance company in the State of Oklahoma. The annuity shall be in the name of the bondsman as owner with legal assignment to the Insurance Commissioner. The assignment form shall be approved by the Commissioner. If a bondsman exceeds the above limitation, the bondsman shall be notified by the Commissioner that the excess shall be reduced or the deposit increased within ten (10) days of notification, or the license of the bondsman shall be suspended immediately after the ten–day period, pending a hearing on the matter. The deposit provided for in this section shall constitute a reserve available to meet sums due on forfeiture of any bonds or recognizance executed by the bondsman. Any deposit made by a professional bondsman pursuant to this section shall be released and returned by the Commissioner to the professional bondsman only upon extinguishment of all liability on outstanding bonds. Provided, however, the Commissioner shall have the authority to review specific financial circumstances and history of a professional bondsman, on a case–by–case basis, and may release a portion of the deposit if warranted. The Commissioner may promulgate rules to effectuate the provisions of this paragraph. No release of deposits to a professional bondsman shall be made by the Commissioner except upon written application and the written order of the Commissioner. The Commissioner shall have no liability for any such release to a professional bondsman provided the release was made in good faith. B. The deposit provided in this section shall be held in safekeeping by the Insurance Commissioner and shall only be used if a bondsman fails to pay an order and judgment of forfeiture after being properly notified or shall be used if the license of a professional bondsman has been revoked. The deposit shall be held in the name of the Insurance Commissioner and the bondsman. The bondsman shall execute an assignment or pledge of the deposit to the Insurance Commissioner for the payment of unpaid bond forfeitures. C. Currently licensed professional bondsmen may maintain their aggregate liability limits upon presentation of documented proof that they have previously been granted a limitation greater than the requirements of subsection A of this section. The asset and deposit requirements set forth in this section continue to be met. An applicant for a multicounty agent bondsman license shall have been continually licensed as a professional bondsman in the State of Oklahoma for a minimum of two (2) years immediately prior to the date of application. In addition to the requirements prescribed in Sections 1305 and 1306 of this title, an applicant for a multicounty agent bondsman license shall submit to the Insurance Commissioner an annual audited financial statement prepared by an accounting firm or individual holding a permit to practice public accounting in this state in accordance with the Statements on Auditing Standards promulgated by the Auditing Standards Board of the American Institute of Certified Public Accountants setting forth the total assets of the bondsman less liabilities and debts. For initial applications and for subsequent renewals of the license, the statement shall show a net worth of at least Two Hundred Fifty Thousand Dollars ($250,000.00). The statement shall be current as of a date not earlier than ninety (90) days prior to submission of the application and the statement shall be attested to by an unqualified opinion of the accountant. Multicounty agent bondsman applicants shall make a deposit with the Insurance Commissioner in the same manner as required of domestic insurance companies. The deposit shall not be less than One Hundred Thousand Dollars ($100,000.00). Provided however, any and all deposits made pursuant to paragraph 3 of subsection A of Section 1306 of this title shall count toward the fulfillment of any deposit amount required by this section. The deposit shall be subject to all laws, rules, and regulations as deposits by domestic insurance companies but in no instance, except as provided herein, shall a multicounty agent bondsman write bonds which equal more than twelve times the amount of the deposit which the bondsman has submitted to the Commissioner; provided however, any currently licensed professional bondsman in good standing with the Department and who, on the effective date of this act, meets the provisions of the grandfather clause set forth in Section 1306 of this title and who otherwise meets the requirements of this section shall be afforded the same liability ratio as that of such grandfathered professional bondsman. Such deposit shall require the review and approval of the Insurance Commissioner prior to exceeding the maximum amount of Federal Deposit Insurance Corporation basic deposit coverage for any one bank or financial institution. In addition, a multicounty agent bondsman may make the deposit by purchasing an annuity through a licensed domestic insurance company in the State of Oklahoma. The annuity shall be in the name of the bondsman as owner with legal assignment to the Insurance Commissioner. The assignment form shall be approved by the Commissioner. If a bondsman exceeds the above limitation, the bondsman shall be notified by the Commissioner that the excess shall be reduced or the deposit increased within ten (10) days of notification, or the license of the bondsman shall be suspended immediately after the ten–day period, pending a hearing on the matter. Any deposit made by a multicounty agent bondsman pursuant to this section shall be released and returned by the Commissioner to the multicounty agent bondsman only upon extinguishment of all liability on outstanding bonds. Provided, however, the Commissioner shall have the authority to review specific financial circumstances and history of a multicounty agent bondsman, on a case–by–case basis, and may release a portion of the deposit if warranted. The Commissioner may promulgate rules to effectuate the provisions of this paragraph. No release of deposits to a multicounty agent bondsman shall be made by the Commissioner except upon written application and the written order of the Commissioner. The Commissioner shall have no liability for any such release to a multicounty agent bondsman provided the release was made in good faith. B. The deposit provided in this section shall be held in safekeeping by the Insurance Commissioner and shall only be used if a bondsman fails to pay an order and judgment of forfeiture after being properly notified or shall be used if the license of a multicounty agent bondsman has been revoked. The deposit shall be held in the name of the Insurance Commissioner and the bondsman. The bondsman shall execute an assignment or pledge of the deposit to the Insurance Commissioner for the payment of unpaid bond forfeitures. At the end of the one–hundred–eighty–day period, the transferee shall be allowed to apply for a license as a multicounty agent bondsman, provided he or she has been continually licensed as a surety bondsman for at least five (5) years immediately prior to the date of application, notwithstanding the requirements of paragraph 1 of subsection A of this section. D. A multicounty agent bondsman may appoint by power of attorney a licensed surety bondsman as his or her agent to execute bail bonds within any county in the State of Oklahoma. The number of bail bonds a multicounty agent bondsman may insure in counties other than the county he or she registers his or her license, pursuant to subsection A of Section 1320 of this title, shall not be limited by subsection B of Section 1320 of this title. A. The applicant for bail bondsman shall be required to appear in person and take an examination prepared by the Insurance Commissioner, testing the applicant’s ability and qualifications to be a bail bondsman. Applications are valid for six (6) months after submission. If an applicant has not acted upon the application within that period, a new application and fees shall be submitted for the applicant to be considered for licensure. B. Each applicant shall become eligible for examination if the applicant has completed sixteen (16) hours of education as required by Section 1308.1 of this title prior to the examination. Examinations shall be held at times and places as designated by the Commissioner. C. The fee for the examination shall be One Hundred Dollars ($100.00). Results will be provided after the applicant is examined. D. The failure of an applicant to pass an examination shall not preclude the applicant from taking subsequent examinations; provided, however, that at least thirty (30) days shall intervene between examinations; and provided further, after a third or subsequent examination failure, an applicant may not be examined for at least one (1) year after the last examination failure. A. In order to be eligible to take the examination required to be licensed as a bail bondsman, each person shall complete not less than sixteen (16) clock hours of education in subjects pertinent to the duties and responsibilities of a bail bondsman, including all laws and regulations related thereto. Further, each licensee shall complete biennially not less than sixteen (16) clock hours of continuing education in said subjects prior to renewal of the license. Such continuing education shall not include a written or oral examination. Provided, any person licensed as a bail bondsman prior to November 1, 1989, shall not be required to complete sixteen (16) clock hours of education prior to licensure but shall be subject to the sixteen–hour continuing education requirement in order to renew said license, except that a licensed bail bondsman who is sixty–five (65) years of age or older and who has been licensed as a bail bondsman for fifteen (15) years or more shall be exempt from both the education and continuing education requirements of this section. B. The Oklahoma Bondsman Association shall provide education for bail bondsman licensure as required by this section; provided that the Insurance Commissioner shall approve the courses offered and provided further such education meets the general standards for education otherwise established by the Insurance Commissioner. C. The Oklahoma Bondsman Association shall submit biennially a fee of Two Hundred Dollars ($200.00), payable to the Insurance Commissioner which shall be deposited with the State Treasurer for the purposes of fulfilling and accomplishing the conditions and purposes of this section. D. Any person who falsely represents to the Insurance Commissioner that compliance with this section has been met shall be subject, after notice and hearing, to the penalties and fines set out in Section 1310 of this title. E. The Commissioner shall adopt and promulgate such rules as are necessary for effective administration of this section. A. A renewal license shall be issued by the Insurance Commissioner to a licensee who has continuously maintained same in effect, without further examination, upon payment of a renewal fee of Two Hundred Dollars ($200.00) for a cash, property, surety, or professional bail bondsman or One Thousand Dollars ($1,000.00) for a multicounty agent bondsman, and proof of completion of sixteen (16) hours of continuing education as required by Section 1308.1 of this title. The renewal fee for licenses expiring September 15, 2012, shall be prorated to the birth month of the bondsman. Thereafter the renewal fee shall be submitted biennially by the last day of the birth month of the bondsman. Such licensee shall in all other respects be required to comply with and be subject to the provisions of Section 1301 et seq. of this title. B. An individual holding a professional bondsman license or multicounty agent bondsman license shall also provide an annual audited financial statement prepared by an accounting firm or individual holding a permit to practice public accounting in this state in accordance with the Statements on Auditing Standards promulgated by the Auditing Standards Board of the American Institute of Certified Public Accountants showing assets, liabilities, and net worth, the annual statement to be as of a date not earlier than June 30. The statements shall be attested to by an unqualified opinion of the accounting firm or individual holding a permit to practice public accounting in this state that prepared the statement or statements. The statement shall be submitted annually by the last day of September. C. An individual holding a property bondsman license shall also provide an annual county assessor’s written statement stating the property’s assessed value for each property used to post bonds and a written statement from any lien holder stating the current payoff amount on each lien for each property used to post bonds. The written statements shall be submitted annually by the last day of September. D. If the license is not renewed or the renewal fee is not paid by the last day of the birth month of the bondsman, the license shall expire automatically pursuant to Section 1304 of this title. After expiration, the license may be reinstated for up to one (1) year following the expiration date. If after the one–year date the license has not been reinstated, the licensee shall be required to apply for a license as a new applicant. E. Reinstatement fees shall be double the original fee. For posting a bond for any defendant without first obtaining a written or oral agreement with the defendant or cosigner of the bond. B. In addition to any applicable denial, censure, suspension, or revocation of a license, any person violating any provision of Sections 1301 through 1340 of this title may be subject to a civil penalty of not less than Two Hundred Fifty Dollars ($250.00) nor more than Two Thousand Five Hundred Dollars ($2,500.00) for each occurrence. This fine may be enforced in the same manner in which civil judgments may be enforced. Any order for civil penalties entered by the Commissioner or authorized decision maker for the Insurance Department which has become final may be filed with the court clerk of Oklahoma County and shall then be enforced by the judges of Oklahoma County. C. No bail bondsman or bail bond agency shall advertise as or hold itself out to be a surety company. D. If any bail bondsman is convicted by any court of a violation of any of the provisions of this act, the license of the individual shall therefore be deemed to be immediately revoked, without any further procedure relative thereto by the Commissioner. E. For one (1) year after notification by the Commissioner of an alleged violation, or for two (2) years after the last day the person was licensed, whichever is the lesser period of time, the Commissioner shall retain jurisdiction as to any person who cancels his bail bondsman’s license or allows the license to lapse, or otherwise ceases to be licensed, if the person while licensed as a bondsman allegedly violated any provision of this title. Notice and opportunity for hearing shall be conducted in the same manner as if the person still maintained a bondsman’s license. If the Commissioner or a hearing examiner determines that a violation of the provisions of Sections 1301 through 1340 of this title occurred, any order issued pursuant to the determination shall become a permanent record in the file of the person and may be used if the person should request licensure or reinstatement. F. Any law enforcement agency, district attorney’s office, court clerk’s office, or insurer that is aware that a licensed bail bondsman has been convicted of or has pleaded guilty or nolo contendere to any crime, shall notify the Insurance Commissioner of that fact. If, after investigation, it shall appear to the satisfaction of the Insurance Commissioner that a bail bondsman or insurer has been guilty of violating any of the laws or rules or regulations of this state relating to bail bonds, the Commissioner shall provide notice in writing to the bail bondsman or to the insurer. Notice to the bail bondsman or insurer shall be by mail with return receipt requested at the last–known address of the bail bondsman or insurer, in a manner and pursuant to the procedures set forth in Article II of the Administrative Procedures Act, Section 308a et seq. of Title 75 of the Oklahoma Statutes. If the Commissioner determines that the conduct is such that it may be a detriment to the public, he may suspend the license of such bail bondsman or insurer pending hearing. A. Hearings shall be held in the Insurance Commissioner’s offices or at such other place as the Commissioner may deem convenient. B. The Commissioner shall appoint an independent hearing examiner to preside at the hearing to sit in the capacity of a quasi–judicial officer. C. All hearings will be public and held in accordance with, and governed by, Article II of the Administrative Procedures Act, Section 308a et seq. of Title 75 of the Oklahoma Statutes. D. If at a hearing the person presiding determines that a license which was suspended prior to the hearing pursuant to Section 1311 of this title shall be revoked or suspended, the period of revocation or suspension shall be deemed to have begun on the date the license was suspended pending the hearing. E. The Commissioner, upon written request reasonably made by the licensed bail bondsman affected by the hearing, and at such bail bondsman’s expense, shall cause a full stenographic record of the proceedings to be made by a competent court reporter. F. The ordinary fees and costs of such hearing examiner may be assessed by the hearing examiner against the respondent, unless the respondent is the prevailing party. A. No individual operating under any license which has been revoked by the Insurance Commissioner shall have the right to apply for another license under this act within one (1) year from the effective date of such revocation, or, if judicial review of such revocation is sought, within one (1) year from the date of final court order or decree affirming the revocation. However, the Commissioner may authorize the application for another license under this act by such an individual prior to the end of the one–year period if the Commissioner finds that the individual meets the licensing requirements then in effect and if the Commissioner finds the circumstances for which the license was revoked no longer exists. The Commissioner shall not, however, grant a new license to any individual if he finds that the circumstances for which the previous license was revoked still exist or are likely to recur. B. If a license as bail bondsman as to the same individual has been revoked at two separate times, the Commissioner may not thereafter grant or issue any license under this act as to such individual unless such individual can meet the licensing qualifications then in effect and if the Commissioner finds the circumstances for which the license was revoked no longer exists. C. During the period of suspension, or after revocation of the license and prior to being issued a new license, the former licensee shall not engage in or attempt to profess to engage in any transaction or business for which a license is required under this act. D. Upon suspension, revocation or refusal to renew or continue the license of a bail bondsman, the Commissioner may at the same time likewise suspend or revoke all other insurance agent licenses held by the licensee under the insurance laws of this state, if the Commissioner determines that such suspension or revocation is in the best interest of the public. E. In case of the suspension or revocation of license of any bail bondsman, the license of any and all bail bondsmen who are members of a bail bond agency, whether incorporated or unincorporated, and who knowingly are parties to the act which formed the ground for the suspension or revocation may likewise be suspended or revoked for the same period as that of the offending bail bondsman; but this shall not prevent any bail bondsman, except the one whose license was first suspended or revoked or the bondsman member of the agency who was a knowing participant, from being licensed as a member of some other bail bond agency. F. Though issued to a licensee, all certificates of licenses issued under this act are at all times the property of this state, and upon notice of any suspension, revocation, refusal to renew, expiration or other termination of the license, the licensee or other person having either the original or copy of the license shall promptly deliver the certificate of license or copy thereof to the Commissioner for cancellation. G. As to any certificate of license lost, stolen or destroyed while in the possession of any such licensee or person, the Commissioner may accept in lieu of return of the certificate, the affidavit of the licensee or other person responsible for or involved in the safekeeping of such certificate, concerning the facts of such loss, theft or destruction. Willful falsification of any such affidavit shall, upon conviction, be subject to punishment as for perjury. H. This section shall not be deemed to require the delivery to the Commissioner of any certificate of license which, as shown by specific date of expiration on the face of the license, has already expired, unless such delivery has been requested by the Commissioner. A. It shall be unlawful for any person whose license to act as a bail bondsman has been suspended, revoked, surrendered, or refused, to do or perform any of the acts of a bail bondsman. Any person convicted of violating the provisions of this subsection shall be guilty of a felony and shall be punished by a fine in an amount not exceeding Five Thousand Dollars ($5,000.00). B. It shall be unlawful for any bail bondsman to assist, aid, or conspire with a person whose license as a bail bondsman has been suspended, revoked, surrendered, or refused, to engage in any acts as a bail bondsman. Any person convicted of violating the provisions of this subsection shall be guilty of a felony and shall be punished by a fine in an amount not to exceed Five Thousand Dollars ($5,000.00). C. The provisions of this section shall not apply to a person whose bail bondsman license is suspended or revoked in this state and who contracts with a licensed bail enforcer pursuant to the Bail Enforcement and Licensing Act to cause the apprehension and surrender of his or her defendant clients to the appropriate authority. The defendant client must have a current undertaking or bail contract with the person whose bail bondsman license is suspended or revoked and such undertaking or bail contract must have been made in this state by the person whose license is now suspended or revoked. No acts other than contracting with a licensed bail enforcer to surrender a defendant client to the appropriate authority shall be authorized or recognized after a bail bondsman license is suspended or revoked. Notwithstanding any provision of the Bail Enforcement and Licensing Act to the contrary, a licensed bondman in this state may seek assistance from, or provide assistance to, another licensed bondsman in this state or another state for purposes of apprehension and surrender of their defendant client whose undertaking or bail contract was written by the licensed bondsman or a bondsman appointed by an insurer doing business in this state; provided, the licensed bondsmen have a continuously valid licensed for five (5) or more years beginning the effective date of this act. The bondsman licensed in this state shall be required to obtain and maintain proof of the other bondsman’s valid license and license duration requirement prior to permitting such person to engage in any act requiring a license in this state. The surety company or professional bondsman or multicounty agent bondsman whose agent is the licensed bondsman. As fiduciary and bailee for hire, the individual bondsman shall be liable in criminal or civil actions at law for failure to properly receipt or account for, maintain or safeguard, release or deliver possession upon lawful demand, in addition to any other penalties set forth in this subsection. No person who takes possession of property as collateral pursuant to this section shall use or otherwise dissipate the asset, or do otherwise with the property than to safeguard and maintain its condition pending its return to its lawful owner, or deliver to the surety company or professional bondsman, upon lawful demand pursuant to the terms of the bailment. Professional bondsmen and multicounty agent bondsmen shall submit electronic monthly reports showing total current liabilities, all bonds written during the month by the professional bondsman or multicounty agent bondsman and by any licensed bondsman who may countersign for the professional bondsman or multicounty agent bondsman, all bonds terminated during the month, and the total liability and a list of all bondsmen currently employed by the professional bondsman or multicounty agent bondsman. Monthly reports shall be submitted electronically to the Insurance Commissioner by the fifteenth day of each month. The records shall be maintained by the Commissioner as public records. C. Every licensee shall keep at the place of business of the licensee the usual and customary records pertaining to transactions authorized by the license. All of the records shall be available and open to the inspection of the Commissioner at any time during business hours during the three (3) years immediately following the date of the transaction. The Commissioner may require a financial examination or market conduct survey during any investigation of a licensee. D. Each bail bondsman shall submit each month with the monthly report of the bondsman, a reviewal fee equal to two–tenths of one percent (2/10 of 1%) of the new liability written for that month. The fee shall be payable to the Insurance Commissioner who shall deposit same with the State Treasurer. Any person whose bail bondsman license has been revoked by the Insurance Commissioner. C. The provisions of this section shall not apply to persons possessing permits or licenses pertaining to low–point beer or alcoholic beverages, as defined in Sections 163.2 and 506 of Title 37 of the Oklahoma Statutes, which were issued prior to May 23, 1984. No one shall be permitted to maintain an office for conducting bail bonds business where low–point beer or alcoholic beverages are sold for on–premises consumption. A. On and after the effective date of this act, as an exception to the provisions in paragraph 8, 9, 10 or 11 of Section 1315 of Title 59 of the Oklahoma Statutes prohibiting a person from being a bail bondsman or receiving any benefit from the execution of any bail bond, a person who holds an ownership interest in a restaurant establishment where alcoholic beverages are lawfully sold incidental to the sale of food or who is an officer, director or stockholder of a corporation that owns or operates a restaurant where alcoholic beverages are lawfully sold incidental to the sale of food, may be a licensed bail bondsman. For purposes of this section, "incidental to the sale of food" means the sale of all alcoholic beverages is not more than fifty percent (50%) of the monthly gross sales of the establishment, and "alcoholic beverages" means all beverages containing more than three and two–tenths percent (3.2%) alcohol by weight, and all mixed beverage coolers, as defined by Section 506 of Title 37 of the Oklahoma Statutes, regardless of percent of alcohol content, and all beverages containing more than one–half of one percent (1/2 of 1%) alcohol by volume and not more than three and two–tenths percent (3.2%) alcohol by weight. B. No licensed bondsman who holds any license issued from the ABLE Commission or any permit issued from any governmental subdivision or who has any ownership interest, employment or interest in any business identified by the provisions of paragraph 8, 9, 10 or 11 of Section 1315 of Title 59 of the Oklahoma Statutes may execute the duties of a bondsman or have a bondsman office on the premises of such establishment. C. No exception authorized in this section for a licensed bondsman to additionally hold a license issued by the ABLE Commission or a permit issued by a governmental subdivision pursuant to paragraph 8, 9, 10 or 11 of Section 1315 of Title 59 of the Oklahoma Statutes shall apply to or be construed as an exception for a bail enforcer. D. The ABLE Commission shall be authorized to investigate all provisions authorized by this section and shall certify in writing to the Insurance Commissioner, upon written request, that a person is eligible for an exception to the prohibitions of Section 1315 of Title 59 of the Oklahoma Statutes. The ABLE Commission shall immediately notify the Insurance Commissioner, in writing, if a person becomes disqualified for an exception to the prohibitions of paragraph 8, 9, 10 or 11 of Section 1315 of Title 59 of the Oklahoma Statutes. If, after an investigation of a violation of the provisions of this section, the bail bondsman is found to be disqualified to be licensed as a bail bondsman, the ABLE Commission shall be entitled to reimbursement for all costs, expenses and attorney fees and in addition, the person shall have the bail bondsman license permanently revoked by the Insurance Commissioner. A bail bondsman shall neither sign nor countersign in blank any bond, nor shall the bondsman give a power of attorney to, or otherwise authorize, anyone to countersign the name of the bail bondsman to bonds unless the person so authorized is a licensed surety bondsman or managing general agent appointed by a licensed professional bondsman or multicounty agent bondsman giving the power of attorney. The professional bondsman or multicounty agent bondsman shall notify the Commissioner whenever any appointment is canceled. If the bondsman surrenders the professional or multicounty agent bondsman qualification, or the professional or multicounty agent bondsman qualification is suspended or revoked, or if an insurer authorized to write bail bond business surrenders their bail surety line of authority, or this line of authority is suspended or revoked, then the Commissioner shall suspend the appointment of all of the bail agents of the professional bondsman, multicounty agent bondsman or insurer. The Commissioner shall immediately notify any bail agent whose license is affected and the court clerk of the agent’s resident county upon the suspension or revocation of the qualification of the professional bondsman or multicounty agent bondsman. If the professional or multicounty agent bondsman qualification or the bail surety line of authority is reinstated within twenty–four (24) hours, the Commissioner shall not be required to suspend the bail agent appointments. If the Commissioner reinstates the professional or multicounty agent bondsman qualification within twenty–four (24) hours, the Commissioner shall also reinstate the appointment of the bail agents of the professional bondsman, multicounty agent bondsman or bail insurer. If more than twenty–four (24) hours elapse following the suspension or revocation, then the professional bondsman, multicounty agent bondsman or insurer shall submit new agent appointments to the Commissioner. Bail bondsmen shall not allow other licensed bondsmen to present bonds that have previously been signed and completed. 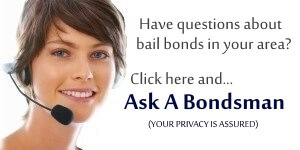 The bail bondsman that presents the bond shall sign the form in the presence of the official that receives the bond. B. Premium charged shall be indicated on the appearance bond prior to the filing of the bond. At the time of payment, a bail bondsman shall provide the indemnitors with a proper receipt. e. full name of the individual(s) presenting the payment. D. All surety bondsmen or managing general agents shall attach a completed power of attorney to the appearance bond that is filed with the court clerk on each bond written. E. Any bond written in this state shall contain the name and last–known mailing address of the bondsman and, if applicable, of the insurer. A. Every surety, professional bondsman or multicounty agent bondsman who appoints a surety bondsman or managing general agent in the state shall give notice thereof to the Insurance Commissioner. The filing fee for appointment of each surety bondsman or managing general agent shall be Ten Dollars ($10.00), payable to the Commissioner and shall be submitted with the appointment. The appointment shall remain in effect until the surety, professional bondsman or multicounty agent bondsman submits a notice of cancellation to the Commissioner, the license of the bail bondsman expires, or the Commissioner cancels the appointment. The Commissioner may cancel a bail surety appointment if the license of the bondsman is suspended, revoked or nonrenewed. If the surety changes the liability limitations of the surety bondsman or the managing general agent, or any other provisions of the appointment, the surety shall submit an amended appointment form and a filing fee of Ten Dollars ($10.00) payable to the Commissioner. B. A surety terminating the appointment of a surety bondsman or managing general agent immediately shall file written notice thereof with the Commissioner, together with a statement that it has given or mailed notice to the surety bondsman or managing general agent. The notice filed with the Commissioner shall state the reasons, if any, for the termination. C. Prior to issuance of a new surety appointment for a surety bondsman or managing general agent, the bondsman or agent shall file an affidavit with the Commissioner stating that no forfeitures are owed to any court, no fines or fees are owed to the insurance department, and no premiums or indemnification for forfeitures or fines are owed to any insurer, insureds, or others received in the conduct of business under the license. If any statement made on the affidavit is found by the Commissioner to be false, the Commissioner may deny the new surety appointment, apply the sanctions set forth in Section 1310 of this title or both. This provision shall not require that all outstanding liabilities have been exonerated, but may provide that the liabilities are still being monitored by the bondsman or agent. D. Every bail bondsman who negotiates and posts a bond shall, in any controversy between the defendant, indemnitor, or guarantor and the bail bondsman or surety, be regarded as representing the surety. This provision shall not affect the apparent authority of a bail bondsman as an agent for the insurer. A. Any bail bondsman who discontinues writing bail bonds during the period for which he is licensed shall notify the clerks of the district courts and the sheriffs with whom he is registered and return his license to the Commissioner for cancellation within thirty (30) days from such discontinuance. Prior to the discontinuance of licensure, the bail bondsman shall make and submit to the Commissioner a list of all outstanding bonds and obtain a release for each bond that he has written from the court clerk or sheriff of each county in which a bond is written or an affidavit from another bondsman stating that such bonds have been transferred to his care. B. Any person convicted of violating this section shall be guilty of a misdemeanor and upon conviction thereof, be punished by a fine of not less than One Hundred Dollars ($100.00) nor more than One Thousand Dollars ($1,000.00), or by imprisonment for not less than six (6) months nor more than one (1) year, or by both such fine and imprisonment. A. No bail bondsman shall become a surety on an undertaking unless he has first registered his license in the office of the sheriff and with the court clerk in the county in which the bondsman resides or offices, but not both. In the county in which a bondsman registers his license, he shall provide the court clerk with proof that he is a resident of said county or that he offices in said county. The court clerk of the county shall provide a list of bondsmen permitted to write bail in that county to the judges and law enforcement offices of that county. Law enforcement shall provide the list to any incarcerated individual upon request. The list shall consist of professional, multi-county agent, property, cash and surety bail bondsmen. Any surety bondsman without a current surety appointment shall be removed from the list. In any county not having a licensed bondsman authorized to do business within said county, the court having jurisdiction shall allow and fix bail. B. Notwithstanding the foregoing provisions of this section, a bondsman may write bonds on no more than ten defendants per year in each of the remaining seventy–six counties of this state in which the bondsman cannot register his license. Provided, however, a bondsman shall not be limited to writing bonds on only ten defendants per year in a county which does not have a licensed bondsman registered in said county. The bondsman shall advise the court clerk of each such county in writing of his intention to write bonds in the county and shall file a certified copy of his license with such court clerk. C. A surety bondsman shall also file with the court clerk a certified copy of his or her appointment by power of attorney from the insurer whom he or she represents as an agent. D. A fee of Twenty Dollars ($20.00) shall be paid to the court clerk for each county in which the bail bondsman registers or files his or her license. The fee shall be payable biennially by the date of license renewal. The court clerk and the sheriff shall not permit the registration or filing of a bail bondsman unless such bondsman is currently licensed by the Insurance Commissioner under the provisions of Section 1301 et seq. of this title. A natural person who has reached the age of twenty–one (21) years, a citizen of the United States and a bona fide resident of Oklahoma for a period of six (6) months immediately last past and who holds record title to property in Oklahoma, cash or other things of value, acceptable to the proper authority approving the bail bond. A. Every bondsman shall file with the undertaking an affidavit stating whether or not the bondsman or anyone for the use of the bondsman has been promised or has received any security or consideration for the undertaking, and if so, the nature and description of security and amount thereof, and the name of the person by whom the promise was made or from whom the security or consideration was received. Any willful misstatement in the affidavit relating to the security or consideration promised or given shall render the person making it subject to the same prosecution and penalty as one who commits the felony of perjury. B. An action to enforce any indemnity agreement shall not lie in favor of the surety against the indemnitor, except with respect to agreements set forth in the affidavit. In an action by the indemnitor against the surety to recover any collateral or security given by the indemnitor, the surety shall have the right to retain only the security or collateral as it mentioned in the affidavit required by this section. C. If security or consideration other than that reported on the original affidavit is received after the affidavit is filed with the court clerk, an amended affidavit shall be filed with the court clerk indicating the receipt of security or consideration. D. If a bondsman accepts a mortgage on real property as collateral on a bond, the bondsman shall file a copy of the mortgage with the bond within thirty (30) days of receipt of the mortgage. The Commissioner shall have the authority to extend or waive this requirement. When the defendant has been admitted to bail, he, or another in his behalf, may make a cash bond by depositing with an official authorized to take bail, a sum of money, or nonregistered bonds of the United States, or of the state, or of any county, city or town within the state, equal in market value to the amount of such bail, together with his personal undertaking and an undertaking of such other person, if the money or bonds are deposited by another. Upon delivery to the official, in whose custody the defendant is, of a certificate of such deposit, he shall be discharged from custody in the cause. (A) In the event of bonds written by a licensed property bondsman; four times the market value of said property. (B) All other property bonds; in the face amount of the market value of said property. The court clerk, upon the approval of a property bond, shall forthwith file a certified copy of said bond in the office of the county clerk in which the property is located, transmitting to the county clerk the filing fee which will be paid by the person executing said bond. The county clerk shall index said bond upon his tract index as a lien against said described property, and such bond shall be a lien upon the real estate described therein until a certificate discharging said bond shall be filed in the office of the county clerk. Said lien shall be superior to any conveyance, encumbrance or lien thereafter pertaining to said property. When said bond shall have been discharged, the clerk of said court shall issue to the surety a certificate of discharge describing the bond and the real property, which shall, upon filing with the county clerk and the payment of the filing fee, be recorded in the tract index. An abstract company preparing an abstract upon such real estate, shall be required to list in said abstract only the undischarged liens and shall not list any discharge liens. Where property had been pledged, that a certificate of discharge be issued and the lien previously filed be released. The original undertakings of whatever nature shall be canceled and the new undertaking shall be substituted therefor. § 1326. Defects, Omissions, Irregularities, etc. A. No undertaking shall be invalid, nor shall any person be discharged from his undertaking, nor a forfeiture thereof be stayed nor shall judgment thereon be stayed, set aside or reversed, the collection of any such judgment be barred or defeated by reason of any defect of form, omission or recital or of condition, failure to note or record the default of any principal or surety, or because of any other irregularity, or because the undertaking was entered into on Sunday or other holiday, if it appears from the tenor of the undertaking before what judge or at what court the principal was bound to appear, and that the official before whom it was entered into was legally authorized to take it and the amount of bail is stated. B. If no day is fixed for the appearance of the defendant, or an impossible day or a day in vacation, the undertaking, if for his appearance before a judge for a hearing, shall bind the defendant to appear in ten (10) days from the receipt of notice thereof to the defendant, his counsel, and any surety or bondsman on the undertaking; and if for his appearance in a court for trial, shall bind the defendant so to appear on the first day of the next term of court which shall commence more than three (3) days after the giving of the undertaking. C. The liability of a person on an undertaking shall not be affected by reason of the lack of any qualifications, sufficiency or competency provided in the criminal procedure law, or by reason of any other agreement that is expressed in the undertaking, or because the defendant has not joined in the undertaking. A. At any time before there has been a breach of the undertaking in any type of bail provided herein, the surety or bondsman or a licensed bail enforcer pursuant to a client contract authorized by the Bail Enforcement and Licensing Act may surrender the defendant, or the defendant may surrender himself or herself, to the official to whose custody the defendant was committed at the time bail was taken, or to the official into whose custody the defendant would have been given had he or she been committed. The defendant may be surrendered without the return of premium for the bond if he or she has been guilty of nonpayment of premium, changes address without notifying his or her bondsman, conceals himself or herself, leaves the jurisdiction of the court without the permission of his or her bondsman, or violates his or her contract with the bondsman in any way that does harm to the bondsman, or the surety, or violates his or her obligation to the court. When a bondsman or surety, or a licensed bail enforcer, surrenders a defendant pursuant to this subsection, the bondsman or surety shall file written notification of the surrender. After surrender, and upon filing of written notification of the surrender, the bond shall be exonerated and the clerk shall enter a minute in the case exonerating the bond. B. If the defendant has been placed in custody of another jurisdiction, the district attorney shall direct a hold order to the official, judge or law enforcement agency where the defendant is in custody. All reasonable expenses accrued in returning the defendant to the original court shall be borne by the bondsman who posted the bond with that court. Upon application, the bond in the original court shall be exonerated when the hold order is placed and upon proof of payment of expenses by the bondsman. When a bondsman or surety recommits a defendant pursuant to this subsection, the bondsman or surety shall file a written notification thereof to the court, and after such notification, the bond or bonds shall be exonerated, and the clerk shall enter a minute in the case exonerating the bond or bonds. D. When a defendant does appear before the court as required by law and enters a plea of guilty or nolo contendere, is sentenced or a deferred sentence is granted as provided for in Section 991c of Title 22 of the Oklahoma Statutes, in such event the undertaking and bondsman and insurer shall be exonerated from further liability. The bondsman or surety, or a licensed bail enforcer pursuant to a client contract authorized by the Bail Enforcement and Licensing Act, desiring to make a surrender of the defendant shall procure or have in his or her possession a certified copy of the undertakings and deliver such documents together with the defendant to the official in whose custody the defendant was at the time bail was taken, or to the official into whose custody he or she would have been given had he or she been committed, who shall detain the defendant in custody thereon, as upon a commitment, and by a certificate in writing acknowledge the surrender. Upon the presentation of a certified copy of the undertaking and the certificate of the official, the court before which the defendant has been held to answer, or the court in which the preliminary examination, indictment, information or appeal is pending, shall upon notice of three (3) days given by the person making the surrender to the prosecuting officer of the court having jurisdiction of the offense, together with a copy of the undertakings and certificate, order that the obligors be exonerated from liability on their undertakings; and, if money has been deposited as bail, that such money or bonds be refunded. If property pledged, a certificate of exoneration be issued and the lien previously filed be released and the undertakings of whatever nature be canceled. When a bondsman or surety recommits a defendant pursuant to this subsection, the bondsman or surety shall file a written notification thereof to the courts, and after such notification, the bond or bonds shall be exonerated and the clerk shall enter a minute in the case exonerating the bond or bonds. The bondsman or surety, by contract with a licensed bail enforcer pursuant to the Bail Enforcement and Licensing Act which contract has attached a certified copy of the undertaking, may authorize the bail enforcer to recover and surrender the person. In addition, the bondsman may surrender the defendant by following the commitment procedures as set forth in subsection C of Section 1327 of this title. A. If the undertaking is a property bond, the clerk shall record the order and judgment of forfeiture in the proper records of said county. Any filing fees shall be paid by the party filing such property bond. B. Collection of such property bond forfeiture shall be accomplished by the proper court authorities. A. If there is a breach of an undertaking, the court before which the cause is pending shall issue, within ten (10) days, an arrest warrant for the defendant and declare the undertaking and any money, property, or securities that have been deposited as bail, forfeited on the day the defendant failed to appear. Within fifteen (15) days from the date of the forfeiture, the order and judgment of forfeiture shall be filed with the clerk of the trial court. Failure to timely issue the arrest warrant or file the order and judgment of forfeiture as provided in this subsection shall exonerate the bond by operation of law. In the event of the forfeiture of a bail bond the clerk of the trial court shall, within thirty (30) days after the order and judgment of forfeiture is filed in the court, by mail with return receipt requested, mail a true and correct copy of the order and judgment of forfeiture to the bondsman, and if applicable, the insurer, whose risk it is, and keep at least one copy of the order and judgment of forfeiture on file; provided, the clerk shall not be required to mail the order and judgment of forfeiture to the bondsman or insurer if, within fifteen (15) days from the date of forfeiture, the defendant is returned to custody, the bond is reinstated by the court with the bondsman’s approval, or the order of forfeiture is vacated or set aside by the court. Failure of the clerk of the trial court to comply with the thirty–day notice provision in this subsection shall exonerate the bond by operation of law. B. The order and judgment of forfeiture shall be on forms prescribed by the Administrative Director of the Courts. The bail bondsman shall have ninety (90) days from receipt of the order and judgment of forfeiture from the court clerk or mailing of the notice if no receipt is made, to return the defendant to custody. The bondsman may contract with a licensed bail enforcer pursuant to the Bail Enforcement and Licensing Act to recover and return the defendant to custody within the ninety–day period, or as agreed, or notwithstanding the Bail Enforcement and Licensing Act if the bondsman is duly appointed in this state by an insurer operating in this state, the bondsman may seek the assistance of another licensed bondsman in this state who is appointed by the same insurer. When the court record indicates that the defendant is returned to custody in the jurisdiction where forfeiture occurred, within the ninety–day period, the court clerk shall enter minutes vacating the forfeiture and exonerating the bond. If the defendant has been timely returned to custody, but this fact is not reflected by the court record, the court shall vacate the forfeiture and exonerate the bond. d. arrest or incarceration of the defendant in any other jurisdiction, provided the bondsman has requested that a hold be placed on the defendant in the jurisdiction wherein the forfeiture lies and has guaranteed reasonable travel expenses for the return of the defendant. b. the defendant has been arrested outside of this state and the court record shows the prosecuting attorney has declined to proceed with extradition. b. the bondsman’s failure to return the defendant to custody within ninety (90) days. If, within ninety (90) days from receipt of the order and judgment of forfeiture from the court clerk, or mailing of the notice if no receipt is made, the defendant is not returned to custody, or the forfeiture has not been stayed, the bondsman and, if applicable, the insurer whose risk it is shall deposit cash or other valuable securities in the face amount of the bond with the court clerk ninety–one (91) days from receipt of the order and judgment of forfeiture from the court clerk, or mailing of the notice if no receipt is made; provided, this provision shall not apply if the defendant has been returned to custody within the ninety–day period and the court has failed to vacate the forfeiture pursuant to paragraphs 3 through 6 of subsection C of this section. After the order and judgment has been paid within ninety–one (91) days from receipt of the order and judgment of forfeiture from the court clerk, or mailing of the notice if no receipt is made, as required in paragraph 1 of this subsection, the bondsman and, if applicable, the insurer whose risk it is shall have one year from the date payment is due to return the defendant to custody as defined by paragraph 4 of subsection C of this section. In the event the defendant is returned to custody and all expenses for the defendant’s return have been paid by the bondsman or insurer, the bondsman’s or insurer’s property shall be returned; provided, the request for remitter be made by motion filed within one (1) year from the date payment is due. If the additional cash or securities are not deposited with the court clerk on or before the ninety–first day after the date of service of the order and judgment of forfeiture from the court clerk, or mailing of the notice if no receipt is made, then the court clerk shall notify the Insurance Commissioner by sending a certified copy of the order and judgment of forfeiture and proof that the bondsman and, if applicable, the insurer have been notified by mail with return receipt requested. b. in the case of a professional bondsman, withdraw the face amount of the forfeiture from the deposit provided in Section 1306 of this title. The Commissioner shall then immediately direct the professional bondsman, by mail with return receipt requested, to make additional deposits to bring the original deposit to the required level. Should the professional bondsman, after being notified, fail to make an additional deposit within ten (10) days from the receipt of notice, or mailing of notice if no receipt is made, the license shall be revoked and all sums presently on deposit shall be held by the Commissioner to secure the face amounts of bonds outstanding. Upon release of the bonds, any amount of deposit in excess of the bonds shall be returned to the bondsman; provided, the bail bondsman shall have had notice as required by the court, at the place of the bondsman’s business, of the trial or hearing of the defendant named in the bond. The notice shall have been at least ten (10) days before the required appearance of the defendant, unless the appearance is scheduled at the time of execution of the bond. Notwithstanding the foregoing, the bondsman shall be deemed to have had notice of the trial or hearing if the defendant named in the bond shall have been recognized back in open court to appear at a date certain for the trial or hearing. If the actions of any bail bondsman force the Insurance Commissioner to withdraw monies, deposited pursuant to Section 1306 of this title, to pay past due executions more than two (2) times in a consecutive twelve–month period, then the license of the professional bondsman shall, in addition to other penalties, be suspended automatically for one (1) year or until a deposit equal to all outstanding forfeitures due is made. The deposit shall be maintained until the Commissioner deems it feasible to reduce the deposit. In no case shall an increased deposit exceed two (2) years unless there is a recurrence of withdrawals as stated herein. If the defendant’s failure to appear was the result of the defendant’s death or of being in the custody of a court other than the court in which the appearance was scheduled, forfeiture shall not lie. Upon proof to the court that the bondsman paid the order and judgment of forfeiture without knowledge that the defendant was deceased or in custody of another court on the day the defendant was due to appear, and all expenses for the defendant’s return have been paid by the bondsman, the bondsman’s property shall be returned. Where the defendant is in the custody of another court, the district attorney or municipal attorney shall direct a hold order to the official, judge, court or law enforcement agent wherein the defendant is in custody; provided, that all expenses accrued as a result of returning the custody of the defendant shall be borne by the bondsman. F. The district attorney or municipal attorney shall not receive any bonuses or other monies or property for or by reason of services or actions in connection with or collection of bond forfeitures under the provisions of Section 1301 et seq. of this title, except that the court may award a reasonable attorney fee in favor of the prevailing party for legal services in any civil action or proceeding to collect upon a judgment of forfeiture. G. The above procedures shall be subject to the bondsman’s rights of appeal. The bondsman or insurer may appeal an order and judgment of forfeiture pursuant to the procedures for appeal set forth in Section 951 et seq. of Title 12 of the Oklahoma Statutes. To stay the execution of the order and judgment of forfeiture, the bondsman or insurer shall comply with the provisions set forth in Section 990.4 of Title 12 of the Oklahoma Statutes. H. For municipal courts of record, the above procedures are criminal in nature and ancillary to the criminal procedures before the trial court and shall be subject to the bondsman’s right of appeal. The bondsman or insurer may appeal an order and judgment of forfeiture by the municipal courts of record to the Court of Criminal Appeals. I. Upon a motion to the court, any person executing a bail bond as principal or as surety shall be exonerated after three (3) years have elapsed from the posting of the bond, unless a judgment has been entered against the surety or the principal for the forfeiture of the bond, or unless the court grants an extension of the three–year time period for good cause shown, upon motion by the prosecuting attorney. All liability of the bondsman may be enforced on motion without necessity of an independent action if conformance with the foregoing is shown. A. Any person in custody before a court or magistrate of the State of Oklahoma subject to discretion of the court may be admitted to bail on his personal recognizance subject to such conditions as the court or magistrate may reasonably prescribe to assure his appearance when required. B. When a person is admitted to bail on his personal recognizance, the court or magistrate may determine an amount of money, property, or securities which shall be paid or forfeited as a penalty by the defendant for failure to comply with the terms of his admission to bail on personal recognizance. This penalty shall be in addition to the penalties provided for in Section 1335 of this title. C. Any person admitted to bail as herein provided shall be fully appraised by the court or magistrate of the penalties provided for failure to comply with the terms of his recognizance and, upon a failure of compliance, a warrant for the arrest of such person shall be issued forthwith. Whoever, having been admitted to bail for appearance before any district court in the State of Oklahoma, (1) incurs a forfeiture of the bail and willfully fails to surrender himself within thirty (30) days following the date of such forfeiture, or (2) willfully fails to comply with the terms of his personal recognizance, shall be guilty of a felony and shall be fined not more than Five Thousand Dollars ($5,000.00) or imprisoned not more than two (2) years, or both. It shall be unlawful for any principal, person in custody or defendant, or indemnitor to provide false information, including identity and physical address, on any undertaking or indemnification agreement. Violation of this section shall be a misdemeanor punishable by imprisonment in the county jail for a term of not more than one (1) year, or by a fine of not more than One Thousand Dollars ($1,000.00), or by both such imprisonment and fine. Any person violating any of the provisions of this act relating to bondsman shall, upon conviction, be fined not more than Five Thousand Dollars ($5,000.00) for each offense, or imprisoned in the county jail for not more than one (1) year, or by both such fine and imprisonment. Any person acting as a bondsman without a license shall be subject to the penalties provided in this section. Any funds payable to the court clerk or other officer pursuant to this act, by any licensed bondsman, managing general agent, surety company or professional bondsman shall be issued a receipt in the name of the surety company or professional bondsman, as the case may be, and when such funds are refunded or otherwise disbursed, they shall be made payable to such surety company or professional bondsman, as the case may be. Each person arrested shall have an opportunity to use the telephone to call his attorney and bondsman before being placed in jail, or within six (6) hours thereafter. Every person who holds a valid bail bondsman’s license issued by the Insurance Commissioner and registered as required in Section 20 of this act shall be entitled to equal access to the jails of this state for the purpose of making bond, subject to the provisions of this act and the rules and regulations adopted and promulgated in the manner provided by law. This act shall not apply to a person who writes only one bond within each calendar year and who does not charge a fee for his services. Notwithstanding any other provision of law that requires a particular form and associated payment to be filed with the Insurance Department in paper form or mailed or hand–delivered to the Insurance Department, the Insurance Commissioner may, by appropriate order, require that all filings or payments of that specific type be filed or delivered in an electronic format. b. Within five (5) days of the order of forfeiture, the municipal court clerk shall file a certified copy of the order with the district court in the county where the municipal government is located. The district court clerk shall treat the certified order of forfeiture as a foreign judgment and proceed in accordance with the provisions of Section 1332 of Title 59 of the Oklahoma Statutes. A surety shall have all remedies available under the provisions of Section 1108 of Title 22 and Sections 1301 through 1340 of Title 59 of the Oklahoma Statutes. B. Court costs shall be collectible from the proceeds of a forfeited bond. If a defendant fails to appear according to the terms or conditions of his bond, either for hearing, arraignment, trial or judgment, or to surrender himself in execution of the judgment, or upon any other occasion when his presence in court or before the municipal judge may be lawfully required, bond forfeiture shall follow the procedures as set forth in Section 1332 of Title 59 of the Oklahoma Statutes. (a) Deposit form. The deposit form is used by all companies depositing securities with the Insurance Department. A description of the securities and value must be itemized on this form which must accompany securities being deposited when presented to the Insurance Commissioner for approval. After completion of transaction, a copy of this form is sent to said company for use to obtain release of deposited securities. Prior to the withdrawal of said securities, the deposit form must be executed by a company official authorized to make such withdrawals and presented to the Insurance Commissioner for approval. (b) Resolution form. Each company having securities on deposit with the Insurance Department must adopt a resolution and file it with the Insurance Commissioner’s Office, authorizing and empowering certain persons designated by said company to deal with the securities on deposit. Requests for exchange or withdrawal of deposited securities will not be honored unless made by designated persons. (a) Application for bail bondsman license form. Unless otherwise provided by electronic means by the Insurance Commissioner or an administrator approved by the Commissioner, bail bond applications must be completed by the person making application and, upon completion, must comply with the applicable Oklahoma statutes. The application shall include the license fee, a complete set of fingerprints, one recent credential–size full face photograph, an investigative fee and evidence of completion of sixteen (16) hours of education. The Commissioner may propose any reasonable interrogatories to an applicant for a license. (b) Bail bondsman license forms. The bail bondsman license form, executed under the hand and seal of the Insurance Commissioner, upon execution and delivery, is evidence of an individual’s authority to act as a bail bondsman within Oklahoma. (c) Bail bond appointment form. The bail bond appointment form is to be completed by an insurer/professional when appointing specific surety bondsmen as agents of the insurer/professional. (d) Bail bond appointment cancellation form. The notice of cancellation of bondsman insurer/professional appointment form is to be used by a insurer/professional when they desire to cancel the appointment of a surety bondsman. (e) Professional bondsman and multicounty agent bondsman securities deposit/withdrawal form. The deposit/withdrawal form (State Form 31) is used for all professional bondsmen and multicounty bondsmen for depositing/withdrawing securities with the Insurance Commissioner’s office. (f) Pledge of Account form. The bondsman shall execute a pledge of the certificate of deposit to the Insurance Commissioner for the payment of unpaid bond forfeitures. (g) Assignment of Account form. The bondsman shall execute an assignment of the annuity deposit to the Insurance Commissioner for the payment of unpaid bond forfeitures. (h) Proof of courses. As a prerequisite for submission of a renewal or reinstatement application, when requested by the Insurance Commissioner, each licensee shall have completed the total number of continuing education hours required. (i) Required submissions for reinstatement. After the license expires and within one year after the license expiration date, a licensee shall be eligible for reinstatement by completing required Continuing Education and submitting a new application and double the license fee. A licensee shall not be eligible for reinstatement if previously the license was revoked, suspended, or continuance was denied. (j) Name change on an individual license. Name changes for an individual license require proper documentation at the time of the written request, such as a copy of a court order, marriage license, or divorce decree. A duplicate license fee shall be submitted for a new licensed to be issued. The purpose of this Part is to set forth the prelicensing and continuing education requirements for bail bondsmen and to set forth the requirements for course approval. "Association" means the Oklahoma Bondsman Association. "CEC" means continuing education credit. "Certificate of course completion" means a document acceptable to the Commissioner and completed by the Association, which signifies satisfactory completion of the course and reflects hours of credit earned. "Clock hour" means credit hour. "Credit hour" shall consist of at least a fifty (50) minute classroom instructional session unless a correspondence or self–study course. "Education verification form" means a form acceptable to the Commissioner and completed by the licensee, which documents compliance with the prelicensing or continuing education requirements. "Instructor" means a person who presents course materials approved for prelicensing or continuing education credit hours and who has experience, training, and/or education in the course subject matter and has been approved by the Commissioner. "Licensee" means a natural person who is licensed by the Commissioner as a bail bondsman. "Proof of completion" means the certificate of course completion and education verification forms. (a) Education verification prior to licensure. Prior to taking the bail bondsman licensing examination, the applicant shall successfully complete the hours of prelicensing education required by 59 O.S. §1308.1(A) in subjects pertinent to the duties and responsibilities of a bail bondsman. The prelicensing education shall be valid for one (1) year from the date obtained by the applicant. (b) Continuing education. All bail bondsmen shall complete eight (8) credit hours of continuing education required by 59 O. S. §1308.1(A) annually to meet the biennial requirement. (c) CE credit for instructor. An instructor who is a licensed bail bondsman shall receive the same continuing education credit for presenting approved course materials as a licensee who attends an approved classroom instructional session. (a) Oklahoma Bondsman Association courses. The Oklahoma Bondsman Association shall apply for course approval from the Commissioner. The Association shall annually submit a fee of One Hundred Dollars ($100.00) to the Insurance Commissioner. (5) Topic outlines which list the summarized topics covered in each course and upon request, a copy of any course materials. If a prior approved course has substantially changed, a summarization of those changes. (3) Two (2) years of recent experience in the subject area being taught and twelve (12) hours of college and/or vocational technical school credit hours in the subject area being taught. (d) Losing course approval. The Commissioner may withhold or withdraw approval of any instructor or course for violation of or non–compliance with any provision of this section. (e) Course approval expiration. Each course approval shall be valid for a period of not more than two (2) years, unless the course has a material change. Material changes to courses require course resubmission for overall course review and approval. Course approval following the review of material changes shall reset the validity period. At the expiration of the validity period, providers shall submit the course for approval by the Commissioner if the provider wants to continue to offer the course for continuing education credit. (a) Approval required 30 days in advance. At least thirty (30) days in advance of the presentation of any course, the Association shall apply to the Commissioner for course approval. The Commissioner shall grant or deny approval based upon information submitted in 365:25–5–4 regarding each course or additional information regarding the course, if necessary. The Commissioner will assign the number of hours awarded for an approved course. (b) Written approval required. All courses shall require written approval. (c) Approval withheld or withdrawn. The Commissioner may withhold or withdraw approval for any course approval. This withdrawal will not affect any hours attained under the course. (d) Minimum one credit hour per course. Courses submitted for approval must consist of a minimum of one credit hour of course instruction. (e) CEC separate component of meetings. Courses conducted in conjunction with other meetings must have a separate continuing education course component. (f) Certificate of Course Completion. At the completion of each course, whether continuing education or prelicensing, the Association shall provide the bondsman with a "Certificate of Course Completion" form, which shall contain the verification of the Association that the bondsman completed the course so certified. (g) OBA supplies Commissioner with list of bondsmen completing course. At the completion of each course, the Association shall provide to the Commissioner a list of all bondsmen who completed the course. (h) OBA records maintained 4 years. The Association shall maintain course records for at least four (4) years. (a) Correspondence courses. A bail bondsman who satisfactorily completes an approved course by correspondence and provides proof of satisfactory completion, as specified by the Commissioner, will receive credit for the number of hours assigned by the Commissioner for completion of the course. (b) Video courses. In order for a bail bondsman to receive credit for viewing an approved course presented by electronic recording, the bondsman must view the electronic recording under the supervision of an approved instructor, or under the supervision of an individual approved by the Oklahoma Bondsman Association, and swear by affidavit he has viewed the electronic recording in its entirety. The affidavit must be submitted to the Association. A bondsman may repeat a course within the one year period if the maximum credits designated for the course were not attained in the first attempt. By repeating the course, the bondsman may not during the annual period earn more than the maximum credits designated for the course. A bondsman may repeat a course after one year has elapsed and receive the maximum credits designated for the course. For good cause shown, the Commissioner may grant an extension of time during which the requirements imposed by 59 O.S. Section 1308 and 1308.1 may be completed. The extension shall not exceed six (6) months. The extension will not alter the requirements or due date of the succeeding year. "Good cause" includes disability, natural disaster, or other extenuating circumstances. Each request for extension of time shall be in writing from the licensee and shall include details and any documentation to support the request. Each request must be received by the Commissioner no less than thirty (30) days before the expiration of the license. If any provision of this Part, or application of such provision to any person or circumstances, shall be held invalid, the remainder of the Part, and the application of such provision to person or circumstances other than those as to which it is held invalid, shall not be affected thereby. "High school diploma or equivalent" The equivalent of a high school diploma, as described by 59 O.S. §1305(A)(8), shall be the successful completion of all parts of the General Educational Development program or completion of a similar program authorized and approved by the Oklahoma State Department of Education. An applicant shall provide documentation that the Oklahoma State Department of Education considers the applicant’s educational qualifications to be the equivalent of a high school diploma if necessary. "Limited surety agent" means any individual who is duly licensed by the Commissioner and is appointed by an insurer by power of attorney to execute or countersign bail bonds in connection with judicial proceedings and receives or is promised money or other things of value. "Premium" means a sum of money charged by the bail bondsman for services rendered on behalf of the principal. Nothing in this section shall be construed to include collateral security received by the bail bondsman in the definition of premium. (b) An applicant’s business address and mailing address shall be in the same county. A fee of One Hundred Dollars ($100.00) is required before an applicant may take the bail bondsman examination. An additional One Hundred Dollar ($100.00) examination fee is required for each subsequent examination as described in 59 O.S. § 1308. (3) the bondsman’s current telephone number. (a) Bondsman making an initial deposit required by 59 O.S. §1306,, shall deliver the deposit to the office of the Insurance Commissioner in Oklahoma City, Oklahoma. The bondsman shall appear in person at the office of the Insurance Commissioner to execute an assignment or pledge of the deposit as instructed by 59 O.S. §1306. (b) Bondsman making an additional deposit required by 59 O.S. §1306, or replacing any portion of a deposit, may mail an executed assignment or pledge of the deposit to the Insurance Commissioner via certified mail. The additional or replaced deposit amount will not be added or included in the professional bail bondsman’s deposit total until the additional or replaced deposit amount is received, processed, and accepted by the Oklahoma Insurance Department staff. (c) The phrase "required level," as described by 59 O.S. § 1332 (D)(4)(b), shall be the bondsman’s amount on deposit prior to a forfeiture payment. A bondsman shall make a deposit equal to the amount withdrawn by the Commissioner following the Commissioner’s withdrawal of professional securities to pay a bond forfeiture. The deposit shall be made within ten (10) days from receipt of the withdrawal notice or mailing of the notice if no receipt is made. The bondsman shall follow the provisions of paragraph (a) of this section for the deposit. (a) Pursuant to 59 O.S. § 1309, bondsmen are required to renew their licenses biennially. Requirements for a complete renewal filing for a bondsman shall be submitted by the last day of the bondsman’s birth month and must includea Two Hundred Dollar ($200.00) renewal fee. (b) Failure to complete the renewal process by the last day of the bondsman’s birth month will result in an automatic expiration of the license. After the expiration, the license may be reinstated for up to one (1) year following the expiration date. If after the one (1) year date, the license has not been renewed, then the licensee shall be required to apply for a license as a new applicant. (c) All licenses of bail bondsmen shall expire on the last day of the bondsman’s birth month unless the Commissioner receives a complete renewal filing. A complete renewal filing consists of all necessary items required by paragraph (a) of this section as well as any other items required by the Commissioner. (d) If the license has not been renewed by the expiration date, a bail bondsman shall not be authorized to continue acting as a bail bondsman. (3) each company with which he/she has an outstanding liability even though the company is no longer active in the bail bond business. (11) bank records on escrow accounts. Pursuant to 59 O.S. §1320, a bondsman is authorized to write bonds on up to ten defendants per year, January 1 through December 31, in each county outside his resident county. For purposes of determining the ten defendants, the bondsman shall consider each date a bond or bonds are written on a defendant as being one of the ten defendants, not withstanding any previous bonds which have been written on that same individual. The ten defendant limit does not apply in counties without a registered bondsman in said county. (a) In computing any period of time in 59 O.S. §1332, 12 O.S. §2006(A) will be followed. 12 O.S. §2006(A) states, in pertinent part, as follows: The day of the act, event, or default from which the designated period of time begins to run shall not be included. The last day of the period so computed shall be included, unless it is a legal holiday as defined by Section 82.1 of Title 25 of the Oklahoma Statutes or any other day when the office of the court clerk does not remain open for public business until the regularly scheduled closing time, in which event the period runs until the end of the next day which is not a legal holiday or a day when the office of the court clerk does not remain open for public business until the regularly scheduled closing time. Unless otherwise provided by law, when the period of time prescribed or allowed is less than eleven (11) days, intermediate legal holidays and any other day when the office of the court clerk does not remain open for public business until the regularly scheduled closing time shall be excluded from the computation. (1) If the bondsman dates the return receipt, or the date of receipt of the order and judgment of forfeiture is evidenced electronically, then the days start running the next day. (2) If the bondsman does not date the return receipt or the date of receipt of the order and judgment of forfeiture is not evidenced electronically, but the insurer or professional does, or the date of receipt is evidenced electronically, then the days start running the next day. (3) If neither the bondsman nor the insurer or professional dates the return receipt, nor is the date of receipt of the order of judgment of forfeiture evidenced electronically, then the days start running the day after the order and judgment of forfeiture was mailed. (a) In addition to the cash or securities deposited in trust with the Insurance Commissioner’s office pursuant to 36 O.S. § 613, insurers writing bail bonds in this state shall deposit in trust additional cash or securities equaling at least Three Hundred Thousand Dollars ($300,000.00), and insurers writing bail bonds in this state shall not exceed a twenty–to–one (20:1) ratio of outstanding liability–to–special deposit. (1) The insurer’s monthly report of outstanding liability shall be within ten percent (10%) of the outstanding liability reported by all the insurer’s appointed surety bondsmen for that month. (2) All bail bond forfeitures shall either be paid within 91 days after receipt of the Order and Judgment of Forfeiture or vacated by the court within 91 days from the date of receipt of the Order and Judgment of Forfeiture pursuant to Section 365:25–5–40. (c) If the insurer fails to comply with either requirement of paragraph (b) more than three (3) times in a consecutive twelve (12) month period, the insurer’s outstanding liability shall not exceed a ten–to–one (10:1) ratio of outstanding liability–to–special deposit. The Insurance Commissioner shall provide written notification of this requirement via certified mail, return receipt requested, to the insurer’s address of record. The special deposit required by this paragraph shall become effective thirty (30) days from the date notification is received. (d) If an insurer is authorized to write only bail bonds, any cash or securities deposited in trust with the Insurance Commissioner’s office pursuant to 36 O.S. § 613 in excess of the minimum amount required by Section 613 shall apply towards the special deposit required by this section. For purposes of 59 O.S. § 1306(A)(2), total assets of the bondsman shall include only those assets owned by the applicant for licensure as a bondsman. Any asset or liability owned jointly with another, including a spouse, shall be shown on financial reports as required pursuant to 59 O.S. § 1309(B) and Section 365:25–5–35 by percentage of ownership of the bondsman individually. The effective date of the bondsman appointment described in 59 O.S. § 1317 shall be the date the Commissioner approves the completed appointment and notifies the bail bondsman’s resident county court clerk. Following a forfeiture, if the defendant has been returned to custody as defined in 59 O.S. § 1332(C)(4), the bondsman shall file notice with the court clerk of the county where the forfeiture occurred by the ninety–first day after receipt of the order and judgment of forfeiture, certifying the defendant was returned to custody by the ninetieth day after receipt of the order and judgment of forfeiture. Failure to provide notice prior to the ninety–first day shall be a violation of 59 O.S. § 1310(A)(2). All fines and costs assessed by order of the Commissioner shall be due and payable to the Oklahoma Insurance Department within thirty (30) days of the date of the order unless otherwise ordered. Any bondsman or surety doing business under any name or names other than the legal name of the bondsman or surety shall notify the Oklahoma Insurance Department prior to using the name or names. If the license of a professional bondsman is transferred pursuant to 59 O.S. § 1306(D), the transferee shall submit a financial statement to the Department within 180 days after the date of the transfer. Pursuant to 59 O.S. § 1311.3(A), it is unlawful for any individual whose license to act as a bail bondsman has been suspended, revoked, surrendered, or refused, to do or perform any of the acts of a bail bondsman. Likewise, pursuant to 59 O.S. § 1311.3(B), it is unlawful for any bail bondsman to assist, aid, or conspire with a person whose license as a bail bondsman has been suspended, revoked, surrendered, or refused, to engage in any acts as a bail bondsman. For the purposes of 59 O.S. (13) Any other act that imposes any duty or obligation upon a licensed bail bondsman or surety. This regulation is promulgated by the Insurance Commissioner pursuant to Section 1306(A)(5) of Title 59 of the laws of this state to describe the nature and scope of the specific financial circumstances warranting a release of a bail bondsman’s professional deposit. (4) Medical problem or illness sustained by either the bondsman or a member of the immediate family of the bondsman. (5) The bondsman has unused bail writing capacity of at least forty percent (40%) of their liability limit, and has at least twelve (12) consecutive months of being at sixty percent (60%) or below this writing limit. (b) The bondsman shall have the burden of showing the Commissioner by clear and convincing evidence the existence or occurrence of the circumstances, as well as providing to the Commissioner any necessary supporting documentation or other evidence the Commissioner requires. (c) A bondsman whose license is suspended or has been revoked shall not be allowed to apply for a partial return of a deposit. The Commissioner shall release the professional deposit no earlier than ninety (90) days following the receipt of the request for release. The Commissioner shall not release any portion of the professional bondsman deposit that results in the deposit dropping below the applicable limit set by Section 1306(A)(2) of Title 59 of the laws of this state. The Commissioner shall review the bondsman’s administrative history to determine if the bondsman owes any outstanding fines to the Commissioner or has any pending or concluded disciplinary action for unpaid bail bond forfeitures. The Commissioner shall not release the deposit if outstanding fines are owed or if forfeitures were unpaid in the time allowed by Section 1332 of Title 59 of the laws of this state. The Commissioner also shall not release the deposit if there are more than three (3) final Insurance Department administrative actions in the twelve (12) months preceding the release request. The Commissioner shall refuse the bondsman’s deposit release request if the Commissioner was ever ordered by a Hearing Examiner to pay any forfeiture from the bondsman’s professional deposit. The outstanding liabilities of the bondsman cannot exceed sixty percent (60%) of the professional deposit writing limit for at least one year prior to making application for partial release of deposit. The Commissioner shall have the authority to release an amount less than requested by the professional bondsman, if the bondsman’s requested amount will cause the remaining deposit to be insufficient to cover additional bail liabilities incurred by the bondsman. The final deposit release order shall be approved by the Commissioner or the Commissioner’s designee, pursuant to Section 1306(A) (6) of Title 59 of the laws of this state.